Macau casino operator Galaxy Entertainment Group Ltd announced on Friday a discretionary bonus for its eligible employees at senior manager grade and below. The amount is equivalent to one month of salary and is to be paid on February 13, ahead of the Chinese New Year holiday. For employees that joined Galaxy Entertainment between January 2, 2017 and October 3, 2017, the bonus will be paid on a pro-rata basis according to the total number of service days they have accrued, the announcement read. 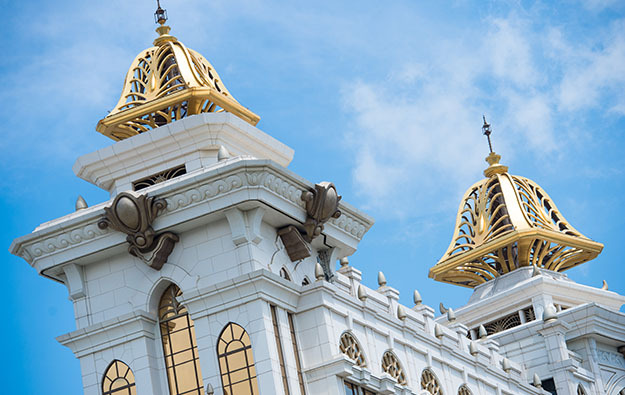 “With the development projects of [Galaxy Macau] Phase 3 and 4, Galaxy Entertainment looks forward to team members’ continued dedication, focus and commitment in delivering ‘Asian Heart’ services and products, improving operational efficiencies, and strengthening collaboration that will set Galaxy Entertainment firmly for greater success in the years ahead,” the casino operator wrote in the Friday announcement. The statement has also cited a Galaxy Entertainment pledge that the firm would “increase communications” with its employees in order to improve “their well-being”. The latest announced bonus payment from Galaxy Entertainment is an amount additional to the firm’s special “annual discretionary bonus” announced in September. Eligible employees were to receive the first portion of that special bonus with their September 2017 salary; while the remaining portion was to be paid this month, before Chinese New Year, the firm said at the time of the autumn announcement. This year, Galaxy Entertainment is the fifth of Macau’s six casino licensees to announce a bonus payment for employees. Macau market rival SJM Holdings Ltd had already awarded its employees a bonus – referred by the firm as a “living subsidy” – for 2018, the firm’s executive director Angela Leong On Kei told local media on January 2. Wynn Macau Ltd stated on Thursday that its annual bonus had already been given to employees “in advance of the Chinese New Year Holiday”. Rival operators Sands China Ltd and MGM China Holdings Ltd have also made public announcements of their respective bonus payment plans for their employees for this year.